I’m trying to post more regularly on my blog, so I’m making an effort to put something up every Tuesday and Thursday. However, this Tuesday is proving to be a challenging and full one. So I’m just giving you this photo. 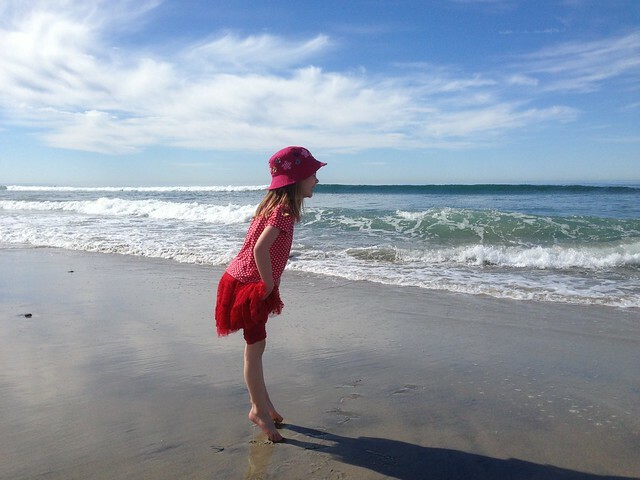 It’s of Abigail, having a grand time with her grandparents at Moonlight Beach in Carlsbad. My dad took this picture, with his phone, which is a pretty startling fact in and of itself. This entry was posted in Abigailia and tagged Beach, Pictures. Bookmark the permalink. Had some awesome days and nights on that beach!